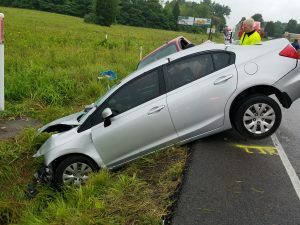 Traffic was backed up for over 2 hours as a result of a three vehicle collision along Highway 231 North of Dale at County Road 1150 S. According to Indiana State Police , just before 8 am Eastern time, a silver Honda passenger vehicle attempted to turn on to 231 North from County Road 1150 S. They were then rear ended by a silver pickup. 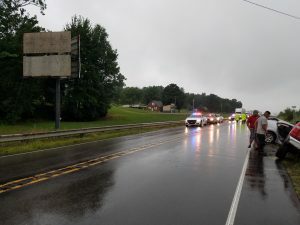 The driver of the Honda lost control and veered into the southbound lane of 231 where they were then hit head on by a red Silverado that was heading south on the highway. Both the Honda and the red Silverado went into the ditch on the side of the road. The driver of the Honda and two passengers all sustained injuries, with one having to be extricated from the vehicle. 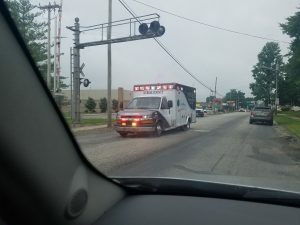 They were taken to Memorial Hospital in Jasper for treatment of their injuries, however the extent of those injuries is unknown at this time. 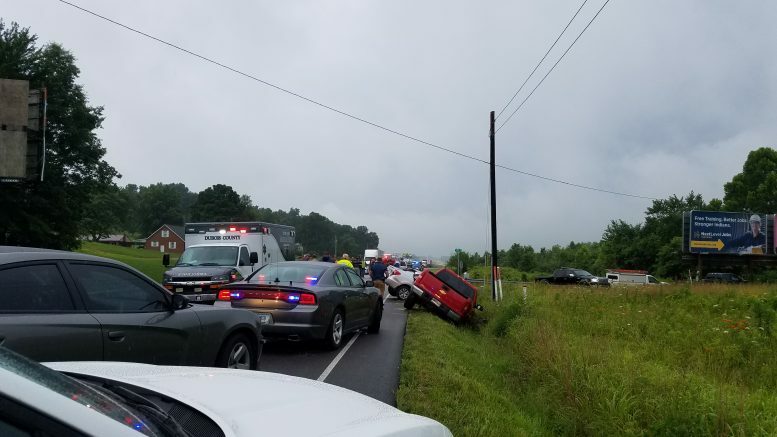 All others involved in the accident escaped injury, however the driver of the red truck was cited at the scene for not having a license. 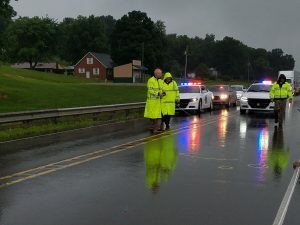 Others responding at the scene included, the Dubois County Sheriff’s Department, Dubois County EMS, and volunteer firefighters. Names of those involved have not yet been released. 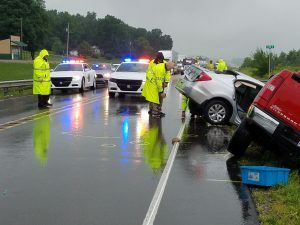 Indiana State Police say the crash remains under investigation. 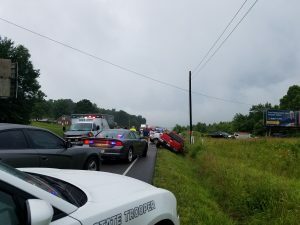 Be the first to comment on "MULTI-VEHICLE ACCIDENT SHUTS DOWN ROADWAY FOR OVER 2 HOURS"